Hey y’all! 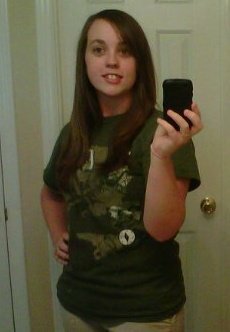 I’m Jaimie, a born and bred North Carolina girl who found love with a Cajun 82nd Airborne paratrooper from Louisiana. After 5 years, Hubby left the Army behind for the Oilfield. I’m a stay-at-home mom (and full-time Grad student) who used to work for the County and then the State. I’m addicted to Pinterest, coffee, family, reading, and learning about the Lord. These are my stories about living the oilfield life with our two children and how faith, hope, and love keep it all together. I didn’t even know she had but that is exciting! Glad you’re here! Tara, I bet we could spend all day talking! I’m so happy you found the blog. It’s been busy lately with vacation, illness and now finally going back to work, but I hope to have a new post up soon!